FRANK L ANDERS – Corporal Anders served in the storied unit remembered as Young’s Scouts. He was decorated for actions taken on May 13th, 1899 in Luzon. The Corporal and ten other Americans stormed 300 – yes – THREE HUNDRED – of the enemy and, in a case of truth REALLY being stranger than fiction, they attacked so ferociously they drove their hundreds of foemen into retreat. Anders and his men went on without waiting for the supporting battalion. This action saved countless lives which would have been lost if it had come to a full frontal assault on the enemy in the position now claimed by the Corporal and his men. Anders’ father had served in the Union Army during the Civil War. CHARLES G BICKHAM – Bickham was serving as a First Lieutenant in the 17th Infantry at the time of his actions. 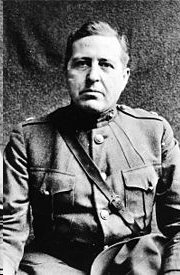 Originally serving in the Philippines during the Spanish- American War Lieutenant Bickham was among the U.S. forces who remained behind and saw action in the Philippine War that followed. Bickham’s Medal of Honor moment came on May 2nd, 1902. During the Battle of Bayong in Mindanao Charles was recognized for escorting a wounded fellow soldier across a field being torn apart by close enemy fire in order to get the injured man to a medical station. Bickham served in the Army until 1910. 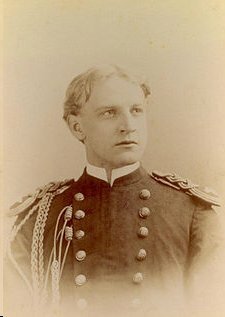 GEORGE BIEGLER – Staying on defense as opposed to offense now this Captain won his Medal of Honor for his actions near Loac on Luzon in the Philippines on October 21st, 1900. Biegler and less than two dozen men held their position against approximately 300 of the enemy. In later years George Biegler served in the search for Pancho Villa in Mexico.